The Snap Lock looks like the real deal in terms of being a really strong ball. Man does this thing move and cover some boards. I can see why Storm released this ball stateside. Thanks to Jeffrey Smith of Pure It Pro Shop, Lebanon, PA, our partner for ball reviews. The Snap Lock is in the Premier Line for Storm. Naturally, it commands top dollar and thus I have to be critical around the value proposition. This ball is going to help many strokers and tweeners who are looking for a strong ball with lots of motion. Crankers will get less use due to its strength. Therefore, it loses a bit of value in terms of versatility. The Snap Lock uses the same Rad-X core in the First Lock with a 2.48 RG, .054 differential, and .018 intermediate differential. Storm brings us a new R3S™ Pearl Reactive coverstock stateside. So here’s the scoop. The Snap Lock is an interesting offering from Storm and I’ll talk about why shortly. It’s not a surprise for Storm to release a pearl version of the Lock but this ball has been out internationally for almost 6 months. That’s unfortunate for us in the US as this is a great ball but it’s finally here. Basically, here’s how I describe the ball reaction. You have a very rolly core which gets itself into a roll no matter what. As a strong asym, it also has a defined motion downlane. Now we have seen this core in the Lock so we knew what to expect. Now adding the pearl cover, you expect added length and more backend motion. That is true, but everything seems magnified. No doubt, there is lots of backend as you can see in the video. However, don’t expect this ball to go 50 feet. The core is so rolly that it forces the ball to transition, even through the pearl cover. What that has done is absolutely magnify the transition from hook to roll. It looks to have a very aggressive motion where you trust it to make the corner every time. There seems to be a synergistic effect of the strong core with the added length of the cover, allowing for this sort of explosive motion. Now, this motion is magnified additionally due to our testers very end over end roll with little tilt. With more tilt, it will be a little more rounded downlane, but still strong. Sean is testing on a typical house shot and as you can see, with a decent rev rate, this is just a lot of ball for house conditions. Due to what I mentioned previously, the ball did not want to naturally push to the outside as you would think a pearl should. Instead, it turned over early, which meant Sean had to adjust his launch angles and sometimes, forcing it yields losing it to the outside with no return. Misses inside will not hold. We wanted to test with the out of box cover per the factory although you can tweak the cover to your liking. For Sean, he would likely want it to settle down as it wears to allow for a slightly smoother reaction. It will also get more play on tougher patterns as well as likely longer patterns that allow it to store energy further down lane. This ball reminded us a lot of the Hyper Cell Skid in terms of the characteristics we discussed. I didn’t realize it initially, but Pete Weber and John Szerbinski used this ball during the PBA League Elias Cup. There you get a sense of how different rolls affect the ball. 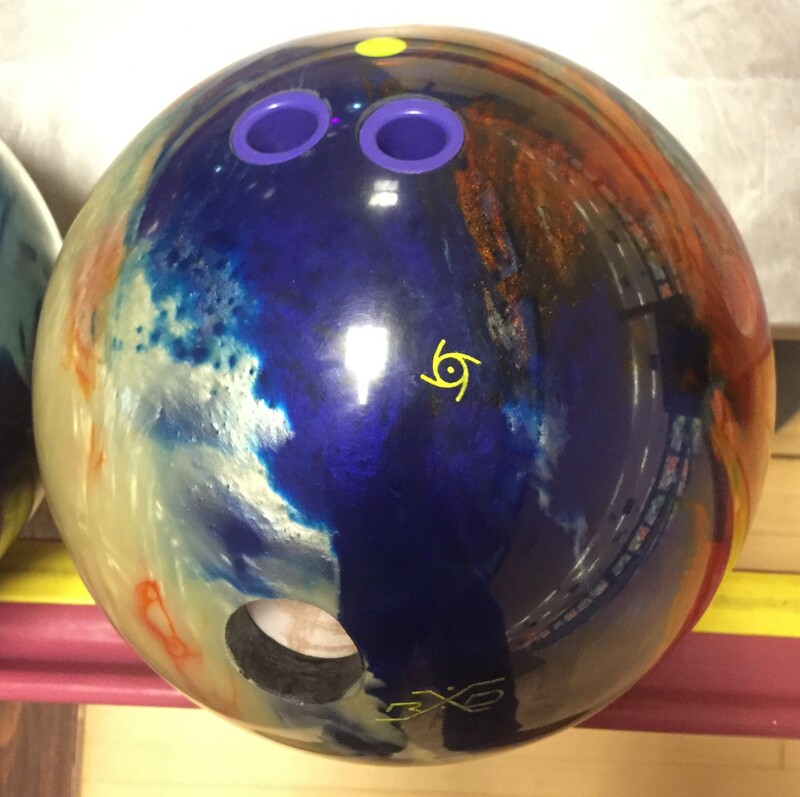 For each bowler, the ball definitely makes the corner every time. If you have a lower rev rate, you are certainly more likely to get more use out of this ball. Given its strength, it could be first ball out of the bag on THS. If you are starting to shortlist your arsenal for next season, the Snap Lock merits some serious consideration!